As the ice thickens on the lakes of northern Finland, a very special circuit begins to take shape. On the edge of the Arctic Circle, a vast, frozen surface is turned into a driving course unlike any other. It is the home of Bentley Power on Ice, an Extraordinary World event that is truly in a class of its own. In the middle of winter, this remote and beautiful part of the world becomes the ultimate playground for an all-wheel drive vehicle. And this unique Bentley driving experience is the perfect way to prosper from the extraordinary. You can enjoy a host of events with friends and family, drivers and non-drivers alike, as well as making new acquaintances with the same thirst for challenge and adventure. In 2017, Power on Ice is set to be even more spectacular than ever, boasting the most comprehensive Bentley model line-up to date. You will savour the thrill of the ice driving experience as you learn how to handle these remarkable cars in the most extreme of conditions, with one-to-one tuition from Bentley experts. As your confidence grows, you will discover how to get the best from each car as you drift around the bespoke ice circuits created by Juha Kankkunen – renowned for setting the world speed record on ice in a Bentley Continental GT. As you would expect, Power on Ice is about much more than ice driving. Finland is a stunning location that offers a wealth of unforgettable Arctic activities. Journey through a white snow-covered forest to see genuine reindeer herders at work, enjoy an evening drink in the private Ice Bar or simply relax by a log fire in a lakeside lodge. If the adrenaline is still pumping, there’s snowmobiling, ice karting, and a night-time husky sled adventure, as well as a traditional Finnish smoke sauna. 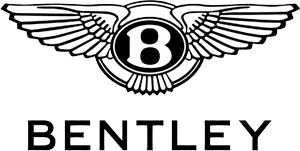 Each guest will receive two full days of driving and tuition with a dedicated instructor from the Bentley Driving Team. You will see that – even on sheet ice – there’s plenty of speed to be gained. Especially when it’s your turn to get behind the wheel of a Bentley. In short, ice driving provides the thrills of an extreme sport, from the comfort of a hand-stitched, heated leather seat. All of this takes Power on Ice beyond a driving experience, to a place where you’ll discover true exhilaration. If you are interested in securing your place at this extraordinary World Experience, contact our showroom on 02890385755. Alternatively Make An Enquiry here.